UFC Fight Night 144 will mark the third event that the promotion has hosted in Ceará. It will feature the first of the final three fights of José Aldo. The event will be headlined by a rematch between Assunção and Moraes. Moraes will be looking to settle the score as he lost the previous bout via split decision. In the co-main event, José Aldo will take on Renato Moicano. With Aldo set to retire by the end of this year, we can be sure that this one will be a bout to watch. Time: Preliminary Card: 5 PM ET, 10 PM GMT, and 3:30 AM IST (3rd Feb). Main Card: 8 PM ET, 1 AM GMT, and 6:30 AM IST (3rd Fe). 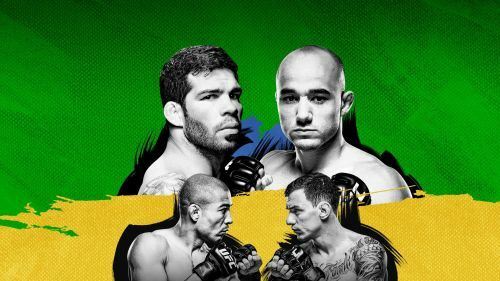 You can watch both UFC Fight Night 144 Preliminary Card and the main card on ESPN+. How and Where to watch UFC Fight Night 144 live In India? Channel: Sony ESPN and ESPN HD will be telecasting the pay-per-view live in India. Day and Date: Sunday, 3rd February 2019. Start time: UFC Fight Night 144 Preliminary Card begins at 3:30 AM in India. The main card begins at 6:30 AM.